Modern Woodmen members pictured left to right; first row - Julia Curry, Fred Summers, Ellie Dowler, and Debra Grover. Second row - Sam Terrell, Ron Dowler, Dan Mayo, Gaye Huffman, the shelter coordinator, and Bev Mayo. Modern Woodmen members of Chapter 5458 are sponsoring Supply Drive, Tuesday, June 26 from 5:30 to 7:30 p.m. at The Willow Restaurant in Washington C.H. to benefit the Brick House Community Shelter. Members and guests will be having dinner together and collecting items most needed: toilet tissue, paper towels, trash bags, laundry detergent, bleach, aluminum foil, Clorox wipes, Kleenex, baby wipes, diapers (sizes 3, 4, 5, 6) canned goods, non-perishable food, deodorant soap, shampoo/conditioner, and disposable razors. Anyone bringing donations and staying for dinner will receive $2.50 off their meal compliments of Modern Woodmen. If you plan to join for dinner, please call Dan Mayo at 937-725-0445, or email: dbmayo7696@aol.com . Modern Woodmen members pictured left to right; first row – Julia Curry, Fred Summers, Ellie Dowler, and Debra Grover. Second row – Sam Terrell, Ron Dowler, Dan Mayo, Gaye Huffman, the shelter coordinator, and Bev Mayo. 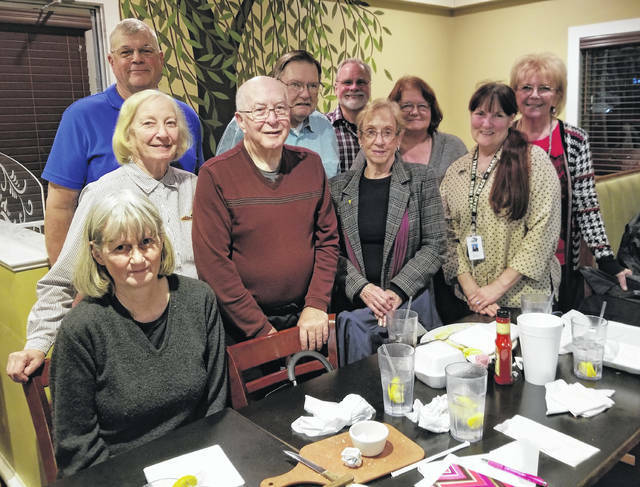 https://www.recordherald.com/wp-content/uploads/sites/27/2018/06/web1_MW-Supply-Drive-Photo-2018.jpgModern Woodmen members pictured left to right; first row – Julia Curry, Fred Summers, Ellie Dowler, and Debra Grover. Second row – Sam Terrell, Ron Dowler, Dan Mayo, Gaye Huffman, the shelter coordinator, and Bev Mayo.